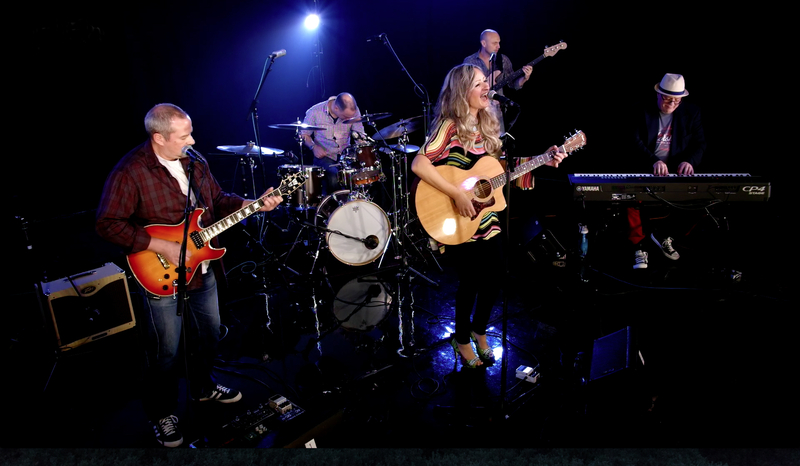 Featuring Big Yellow Taxi (her most covered song), River and A Case of You (both from the breakthrough album Blue), the radio hits of Help Me and Free Man In Paris (from double-platinum Court and Spark) and the jazz-infused stylings of In France They Kiss On Main St (The Hissing of Summer Lawns) and Coyote (Hejira). 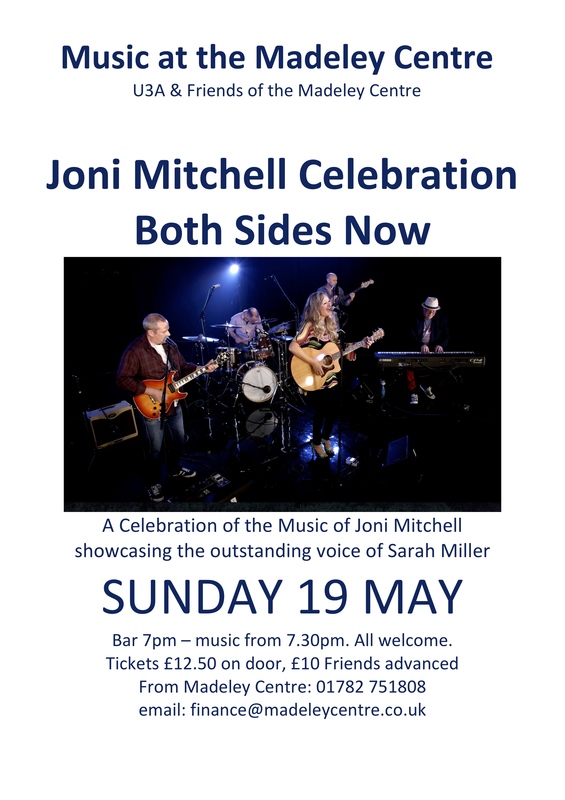 Both Sides Now is a five-piece band showcasing the outstanding voice of Sarah Miller. During its debut year of 2018, the band played at some of the UK’s leading music venues. The musicians’ CVs include such notable names as Don Felder of the Eagles, Badly Drawn Boy, Ruby Turner and Corinne Bailey Rae. 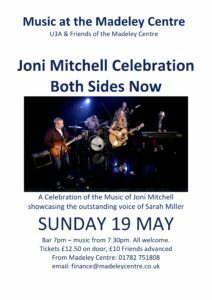 This is not your usual tribute – it’s a group of Joni super-fans dedicated to keeping her music in the live arena.